Recycled water, biodegradable packaging, LED lighting, tree planting… Each year Rototom Sunsplash gets greener, always caring for the environment. Throughout the history Rototom Sunsplash have always had a special place for caring for the environment. One clear example of this has been the progressive introduction of LED lighting in spaces such as the Social Forum and the Reggae University, the African Village, Living Energy, MagicoMundo, the backstage, press tent and the Rotobars that has allowed Rototom to reduce the festival’s daily energy consumption by 84% without counting the stages. We have also installed solar panels in the merchandise shops thereby making them energetically self-sufficient. Backstage also has parasols equipped with solar panels that provide enough energy to charge mobile phones and tablets, in addition to lighting at night. Rototom Sunsplash is continuously increasing the number of waste disposal containers to allow for the separation of waste and paper in the venue as well as in the restaurants and the campsite. In figures, last year over 300 point for waste separation at origin and all of the restaurants were equipped with special containers for separating waste that allowed for the recovery of 16,200kg of packaging and 7,400kg of paper for recycling later. In the toilet areas we reuse shower water that is stored after filtering in two deposits to later be used in the cisterns of the toilets. Rototom Sunsplash have also extended the vegetation coverage in the venue by planting trees in the campsite areas, so as to provide more shade and help reduce CO2 emissions. Rototom promotes the commercialization, purchasing and consumption of local products in all areas and sectors of the festival, everything from food to logistics. For one the campsite area provides guests with a wide range of 0 Kilometer products each year. The festival also opts for the acquisition of local products in areas such as logistics. When it comes to buying construction materials, lighting, wiring and furniture, among other things, Rototom Sunsplash tries to as much as possible to use local suppliers, and thereby reinvest in the local businesses of the Community of Valencia. Furthermore, in the Rotobars they especially insist on the sale of drinks and food from ethical brands. Indeed, the use of disposable plastic glasses has been eliminated completely in all the bars, where they have been substituted by reusable glasses than can be obtained by leaving a deposit. In recent years we have extended the use of bio-compostable plates and cutlery, made out of biodegradable materials such as sugar cane, corn starch or wood, to all of the catering services at the festival. The recycling of the plates and cutlery together with the organic waste allow them to be reused to make compost. Sustainable mobility is one of our principles. Rototom Sunsplash therefore promotes the use of public or collective transport for getting to the festival venue. 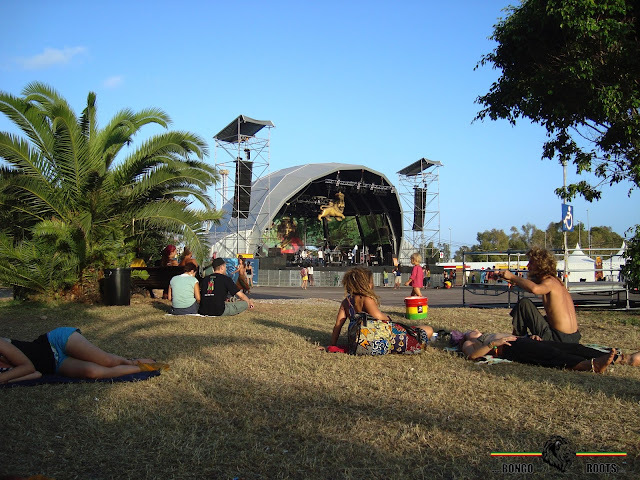 Apart from establishing a bus route that connects the venue with the beaches of Benicassim each day, Rototom also have special airport transfers services set up and ask the audience to share vehicles to get here. Each year Rototom Sunsplash offers a bicycle rental facility so that you can get around in a comfortable and environmentally friendly manner. Over the last few years the festival has gradually reduced the use of paper and other materials in our communications. The edition of publicity material in collaboration with companies that organize concerts and events has meant that we can reduce the number of flyers printed for publicity exponentially. Rototom Sunsplash uses recycled paper for both photocopies and printing. The festival also promotes socially responsible collaborative actions and destines a part of their profits to social projects and collaborations with NGO in different parts of the world. The commitment to the environment, which Rototom Sunsplash reinforces each year, has allowed the festival to be recognized on several occasions by the Greener Festival Award as one of the European festivals that respects and cares most for the environment. As Rototom Sunsplash do in each edition, this year it will implement new actions to improve the festival’s environmental sustainability and ensure least the environmental impact possible.